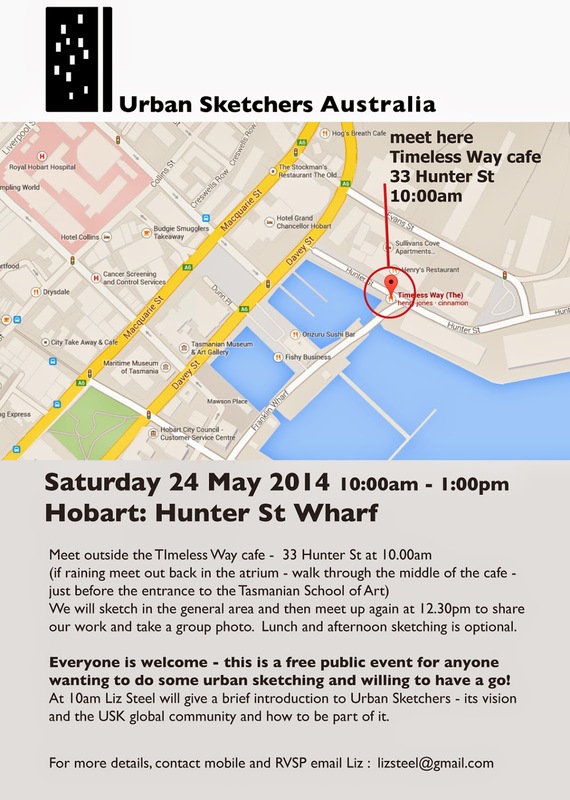 I am very pleased to announce an Urban Sketchers event in Hobart next Saturday 24 May at the Hunter St Wharf area. Details above. This is a free public event open to anyone interested in sketching! If you are free and in the area please join us! Parking: Metered Parking available along Hunter Street and Evans Street..Please note: some repairs to footbridge may alter approach if arriving by car. Special thanks to Gerard for helping organise the event. 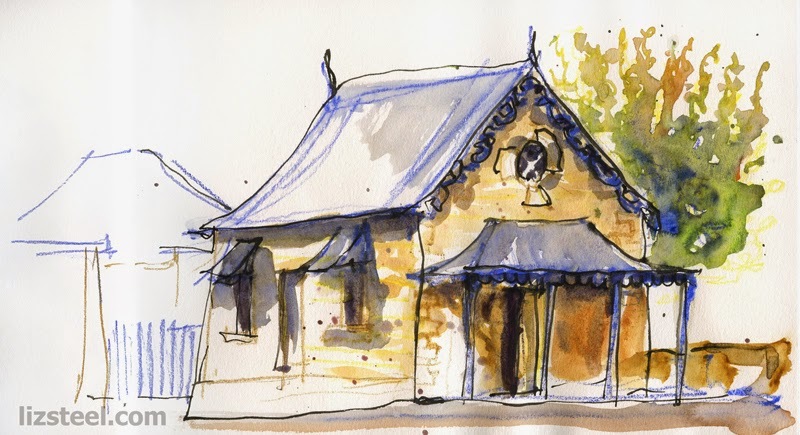 Also: Urban Sketchers event in the Launceston Area on Public Holiday Monday 9 June. More details will follow soon!